Dentalytec’s sterilization cassettes and products can be customized to suit your specific requirements. Customization allows you to organize instruments by color coding them. 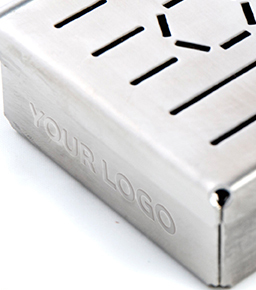 You can also personalize our products with your company’s logo. Our European-trained engineers provide the expertise required to offer an efficient customization service, so that your dental practice stands out from the crowd. 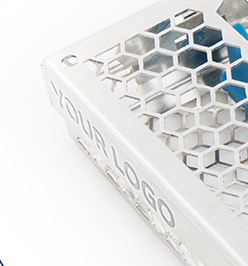 Logo customization of sterilization cassettes and other products, not only clearly labels and marks your equipment, it also brands your products for a more bespoke experience. 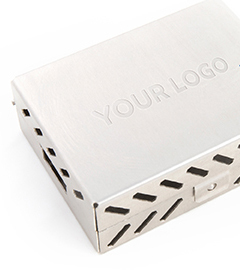 All you have to do is select the Dentalytec sterilization cassette or plug-in you’d like to customize and provide us with your logo. 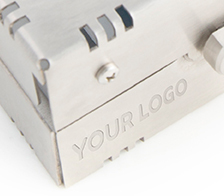 We’ll laser engrave your logo onto the product to the highest standards. Minimum Order Quantities apply. Efficiently running a dental practice requires major organizing, especially when it comes to dental instruments. Color coding your equipment, by procedure or dentist, can save lots of precious time as it facilitates dental practice management. Our sterilization cassettes and other products come with standard blue silicone parts but you can also opt for yellow, orange or green. The silicone parts, made from high quality durable silicone, are sold in sets specific to the different cassettes and products. 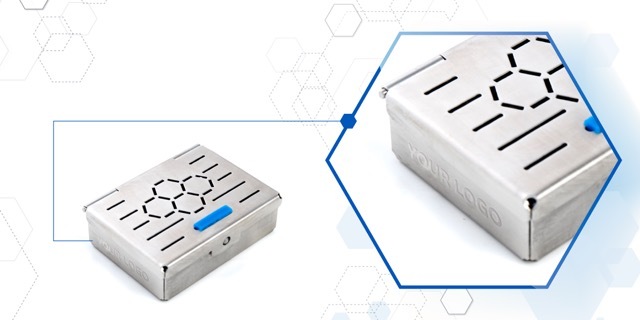 If you have a specific cassette design in mind and don’t find what you’re looking for in our standard products range – we can make your vision come true. As an OEM factory we can design and manufacture bespoke cassettes and accessories to meet your requirements. Just contact us and share your idea with us, so we can get to work creating it. If you’d like to explore our customization options or have any questions about the process, we’re here to help. Simply fill in the form below and we’ll get back to you with more details.